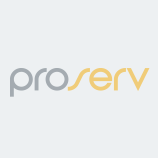 Proserv’s survey and positioning services supports life of field operations from drilling to production to decommissioning. We understand the impact water depth has on project planning and equipment selection and adapt our survey methodology accordingly. We also have the expertise to operate the complex systems required to survey and position accurately at great depth. Whether you require survey support pre-engineering seabed surveys, structural and pipeline inspections, heavy lifts or umbilical installation, we have the people, equipment and experience to ensure complete project delivery. With an experienced team of onshore and offshore survey personnel we provide a comprehensive range of survey capabilities ranging from onshore bid support and project planning through to supply of final survey and positioning deliverables. We are committed to using in-house personnel on all projects. From planning and preparation through to operations and remobilization and close out, we have experts on hand to cover all aspects of service, every step of the way. We own a large volume of survey equipment which makes up the majority of equipment needed to support client operations. Based on each project’s requirements, we will source and mobilise any required additional equipment from our selected range of high quality rental partners.